The doors will open today at 3.30 PM. For full details and information on tickets etc see here. 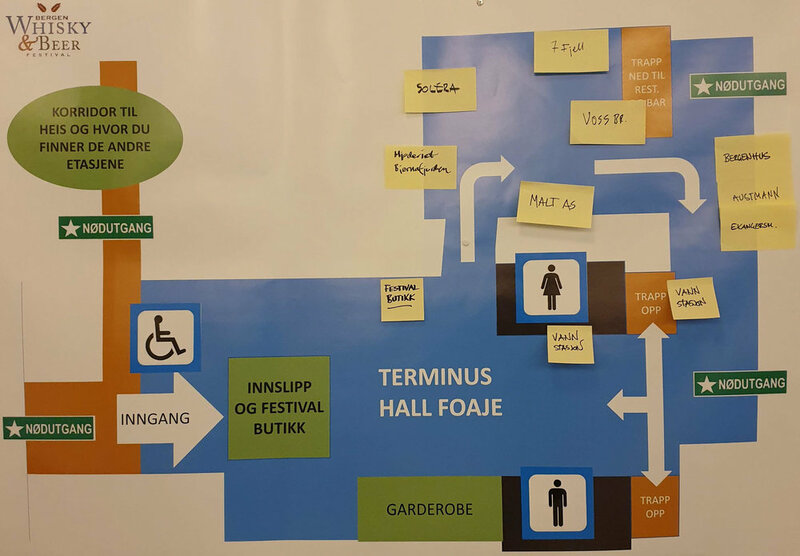 The festival is split over two floors. Here you see the floor plan for the 1st floor. Note that Malt AS is here with more delicious whisky from That Boutique-y .. This is the 2nd floor of the festival. I’ll be working the Pernod Ricard stand this time around. STop by for a chat if you have the chance! 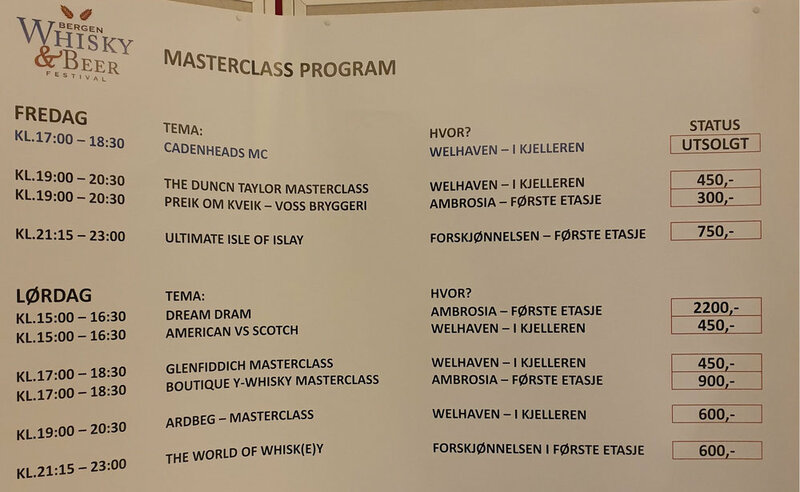 The masterclasses for today and tomorrow. Cadenhead tasting already sold out. Feddie Distillery, a new Norwegian distillery, will be present for the first time. More details to come!